Here is a fun song from the American Idol finale. 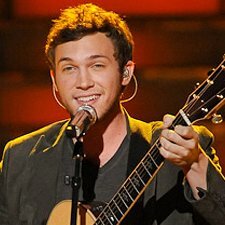 It was performed by Phillip Phillips who won yesterday. It has an interesting finger picking pattern as well as some aggressive strumming. I know several of my students will like learning this one. Enjoy and let us know what you think by commenting below! Also let you friend’s know about it by clicking on the “like” button up above. Enjoy and keep on Jammin! Here is the studio recording if you haven’t heard the song yet. It has a great feel to it. We are very proud of our student Riley. 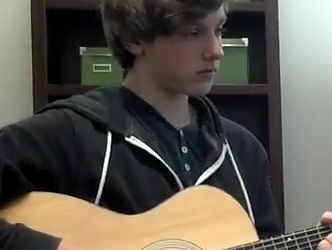 He is a very hard working student who has taken guitar lessons with studio director Joey for over 2 years now. At Jammin’ Music Studios we are passionate about getting our students playing music they enjoy. This is because it is often what originally caused the student to want to learn, and it is a huge motivator in getting them to practice. Fundamentals and proper technique are always taught as well. We recorded this about five minutes into his 8:30 am lesson so cheer him on! We are very proud of you Riley. Keep practicing and honing your skills and you will be unstoppable! 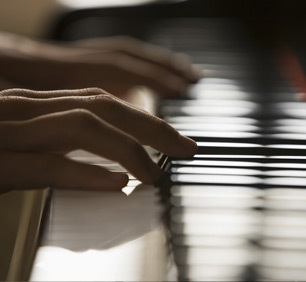 I’ve come to the conclusion that it is better to teach piano than to be the student. At least, I’ve enjoyed it much more. Recitals are actually exciting, not dreadful, because you get to listen and see how far your students have progressed instead of having to take the hot seat yourself. You don’t have the pressure of a teacher scrutinizing your progress every week. It is more fun to scrutin (yes, scrutin) than be scrutinized. You still learn, but the knowledge kind of presents itself to you instead of you having to work super hard to get it.